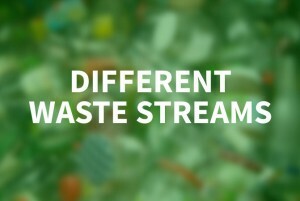 There are many different types of waste produced from a wide range of companies and industries. Most of this waste can be recycled and reused again to help protect the environment, as well as reducing costs for businesses by reusing certain materials. 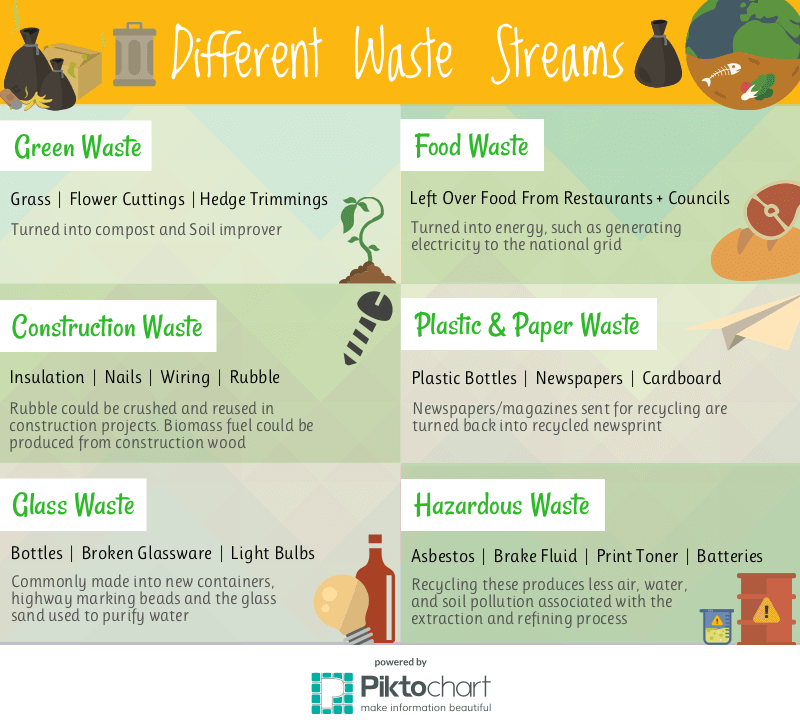 Our infographic below shows what is used for certain types of waste, as well as what it can be made into. The different waste streams includes green waste, food waste, construction waste, plastic and paper waste, glass waste and hazardous waste. If you have any questions or would like information on our services, please call our experts via 01280 851 081 or complete our online contact form.